Earn unlimited 1.5 points for each dollar spent with the card. Bank of America® customers get a 10% customer points bonus if you have an active Bank of America® checking account. Online bonus: Get 25,000 online bonus points if you make at least $1,000 in purchases in the first 90 days of account opening, which can be redeemed for $250 statement credit toward travel purchases. Use your points for statement credit toward a wide variety of travel purchases such as flights, hotels, cruises, campgrounds, tourist attractions, and baggage fees for up to 12 months after the purchase. There is no limit to the number of points you can earn and your rewards do not expire. 0% Intro APR for purchases for the first 12 billing cycles, then 17.24% - 25.24% Variable APR applies. Bonus worth $250 in travel. If you make at least $1000 in purchases with the card within the first 90 days of opening the account, you can receive a bonus of 25,000 points. These points can be redeemed for $250 in statement credit toward travel purchases. This is one of the best credit card bonuses available, especially because there is no annual fee and a reasonable spending requirement. 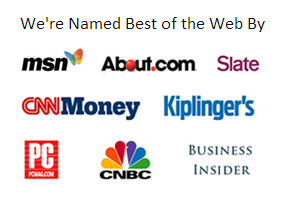 No rotating categories. Earn 1.5 points for each dollar spent on all purchases made with the card without worrying about bonus categories or purchase limits. Redeem for any travel purchase. Unlike travel rewards cards which specialize in a certain airline or hotel brand, you can redeem the points for statement credit on most types of travel purchases. This allows a bit more flexibility in redeeming your points and can be more convenient if your travel purchases vary. Customer bonus. Get a 10% customer points bonus on every purchase when you have an active Bank of America® checking or savings account. If you're a Preferred Rewards member you can increase that points bonus to 25%-75%. 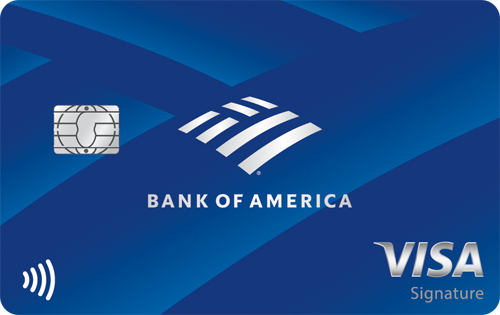 The Bank of America® Travel Rewards credit card is best for those whose travel purchases do not fall into one specific category or brand, and can benefit from the flexibility of earning and redeeming for a wide variety of travel categories. It is also ideal for Bank of America customers or those who may be in the future, and for those who make purchases outside of the United States or frequently travel abroad.